My name is Clare i am a cert VNECC RVN . 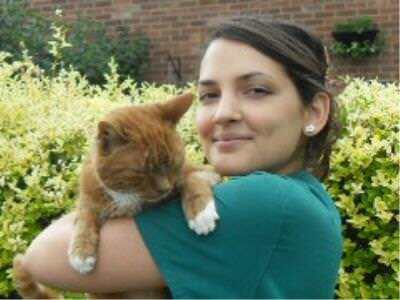 I have been a member of the Ardmore team since 2004, and proudly qualified as a Veterinary nurse in April 2009. I have a passion for Emergency and Critical care nursing and undertook an additional 2 year study in this area, qualifying in September 2016. I enjoy nursing geriatric pets in their golden years, helping, that have pets with anxiety/general behaviour issues, Oh and did I mention I own a beautiful Staffie and am now totally in love with ALL Staffies I come across ? ( So if you happen to have your Staffie in with us, rest assured he/she will get lots of extra special love and cuddles from me).